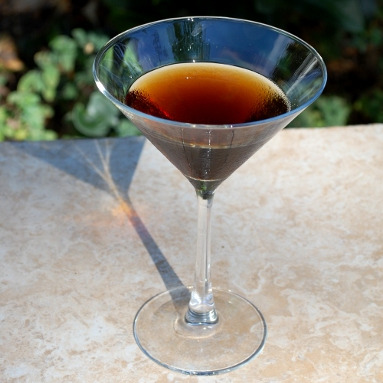 Vermouth is an aromatized and fortified wine which can be drunk neat, on the rocks with a twist or in a cocktail. Aromatize refers to the fact that herbs and botanicals are added to the wine to enhance its flavor, aroma and color; fortified refers to the fact that neutral spirit, usually from grape brandy is added to increase the alcohol content which makes the vermouth more stable and last longer. However, since vermouth is based on wine, an open bottle has a shorter lifespan than say an open bottle of whiskey. In the last few years I have grown to appreciate quite a few cocktails that call for vermouth and so I have bought a bottle from time to time. However, since I usually drink spirits neat, I've run into the problem that my open bottle of vermouth goes off before I've used it up. Because I hate to be wasteful, I've mostly given up on buying vermouth. In the lead up to 2016 Negroni Week I wanted to buy some vermouth to make my negronis and I didn't want it to bad after the week was over and I was done making cocktails for a while. That's when it hit me. I came up with the idea to buy four 250ml swing-top bottles from The Container Store, decant the vermouth into the smaller bottles and put them into the refrigerator. I used the first 250mls during the week making cocktails and the remaining bottles sat in the back of my refrigerator. Now, four months into this experiment I am happy to say that when I opened another small bottle, the vermouth was still fresh. Both the cold refrigerator and having little to no headspace in the smaller bottled worked together to extend the life of the vermouth that otherwise would have gone bad in that amount of time. I figured that every time I pour vermouth from a regular bottle some amount of oxygen gets mixed into the liquid that remains. Each time you do that, the more the vermouth sloshes around and the more oxygen gets into it. Now, if I drank vermouth or made cocktails more often this would be a problem. However, this simple and inexpensive trick of decanting full size vermouth bottles (which are less expensive per ounce) into smaller bottles has made it possible for me keep vermouth on hand at all times, waiting for me when a cocktail mood strikes. If you are like me and it has killed you to pour out bad vermouth because you were too slow to finish the bottle, give this little trick a shot.